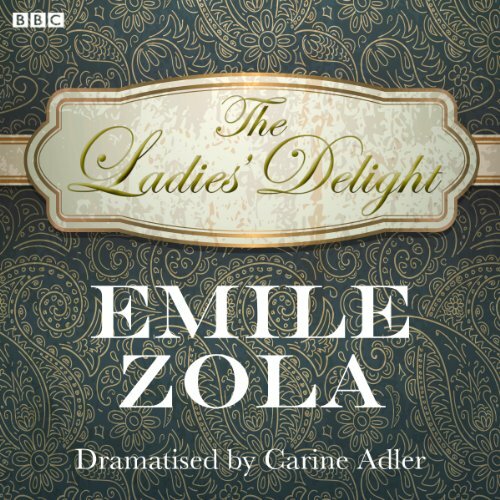 Showing results by narrator "David Hargreaves"
By Emile Zola. Dramatised by Carine Adler. Business, ambition and fashion all collide in Zola's colourful love story. Set in the hustle and excitement of the expansion of one of Paris' first department stores. Episode 1: When innocent provincial girl Denise arrives in Paris, she quickly catches the eye of the notorious seducer of women, Octave Mouret. Despite her uncle's disapproval, Denise accepts a job at Mouret's ever expanding department store The Ladies' Delight.